ASTANA – A survivalist’s risks are well worth taking if people are encouraged to seek their own adventures, said survival expert Ed Stafford in an interview with The Astana Times. Photo credit: Ed Stafford Facebook Page. Bitten by the adventure bug as a child in the British countryside, Stafford has since pursued extreme tests of endurance and isolation to prove he can single-handedly survive in the harshest environments. 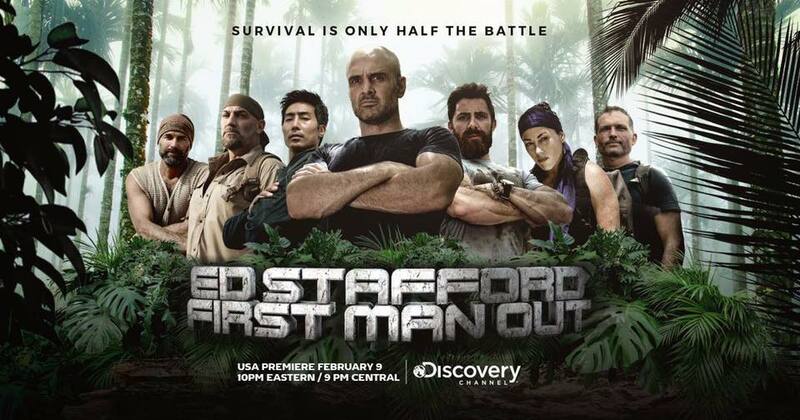 Now, he faces the world’s toughest survivalists in the new Discovery Channel series “Ed Stafford: First Man Out,” racing across Asia to a predetermined extraction point to be the first to complete the test. 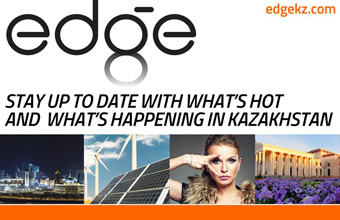 The six-part series began airing Jan. 28 in Kazakhstan. 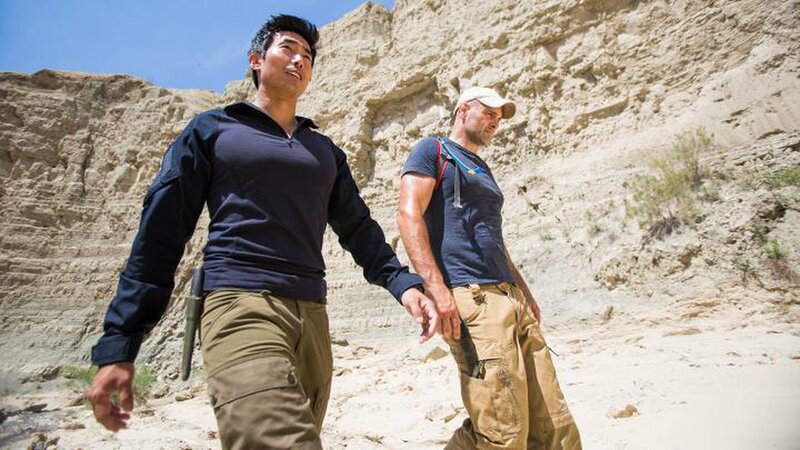 Ken Rhee and Ed Stafford (L-R) in Altyn-Yemel National Park. Photo credit: playpilot.com. “This [series] is a story in which I face a problem and do not have all the answers – you watch how I try to overcome these obstacles, step by step, and find a way out of the situation. I hope that this encourages people to go on trips, challenge themselves and put themselves in an uncomfortable position to develop as individuals,” he said on the show’s message. His competitors include survival experts Cat Bigney, Matt Graham, John Hudson, Aldo Kane, Ken Rhee and EJ Snyder. “Some of my opponents were ultramarathoners, one of them was a former marine and another a paratrooper. If the project is successful and approved for a second season, I will do my best to be in better physical shape,” he said on competing with others for the first time. The second episode, featuring Kazakhstan’s Altyn-Yemel National Park, aired in the country Feb. 4. In it, Stafford takes on former South Korean Special Forces soldier Rhee in a five-day race. Aldo Kane and Ed Stafford (L-R) in Borneo. Photo credit: playpilot.com. Like most survivalists, Stafford is not one to mindlessly risk his life, rather taking measured chances. A 2011 Guinness World Record holder for walking the Amazon River’s entire length, he insists that his greatest challenges are psychological, rather than physical. “After I turned 30, there came a moment in my life when I believed that I had enough experience to tackle a journey on foot along the Amazon. I didn’t have a wife or children yet, so I didn’t have those obligations that would stop most people and wanted to do something that I could remember with pride… The most difficult part of this whole test was its duration, the fact that it took two and a half years when I did not see my mother, friends or relatives,” he said. In addition to achieving a world record, Stafford took home a valuable life lesson. Ed Stafford and Matt Graham (L-R) in Mongolia. Photo credit: playpilot.com. Stafford’s next race in Mongolia will premiere this month on Discovery Channel.